Hardcover, 54 pp., 54 pls. This volume is a catalogue of the American Numismatic Society’s collection of Palestine-South Arabian coins, organized with one page of plates facing a page of numismatic text. 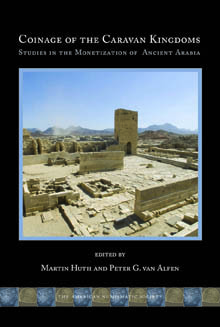 ACNAC 10 accompanies the ANS’s Coinage of the Caravan Kingdoms: Studies in the Monetization of Ancient Arabia. 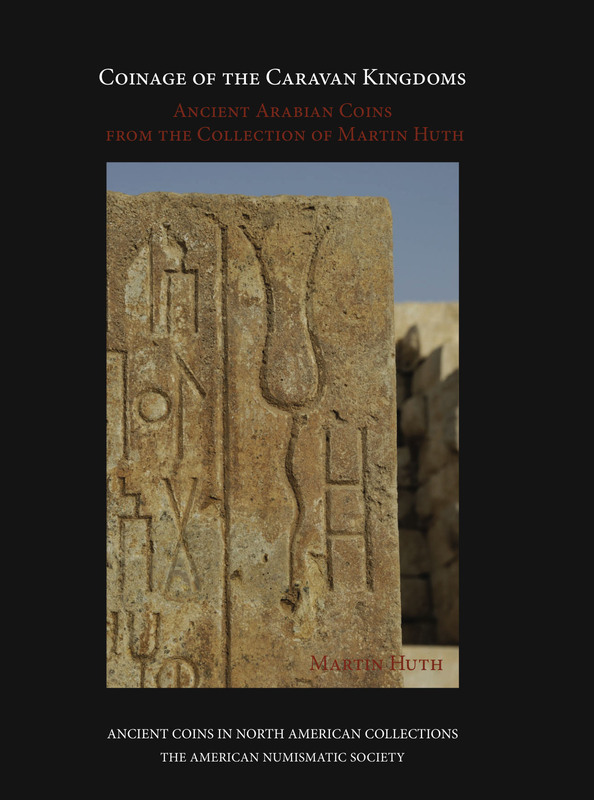 Built over the last 20 years, the Martin Huth collection of pre-Islamic coins covering all parts of the Arabian Peninsula represents the largest assembly of such material ever put together, exceeding by far the holdings of existing Museum collections. 480 coins are fully described and illustrated on more than 70 plates. 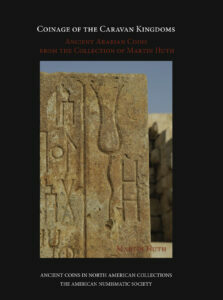 A comprehensive epigraphic index lists all inscriptions and monograms found on these intriguing series. Together with its sister volume—where many of the collection coins are discussed in detail—ACNAC 10 will serve as a reference volume for Arabian coins for years to come.